The Lexington tungsten carbide band is the right choice when searching for an elegant and stunning ring. We put a matte finish onto the classic domed tungsten rings. 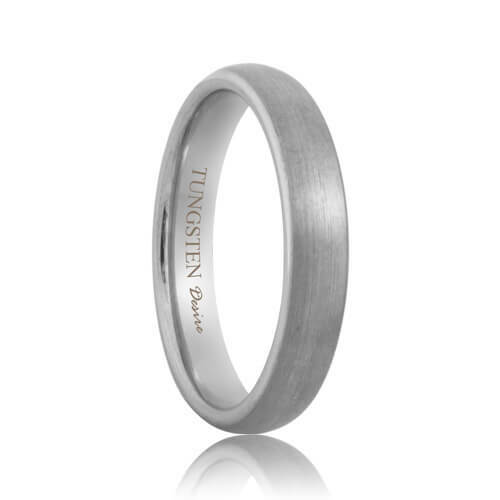 The matte finish gives the traditional domed tungsten band a deep subtle and softer look. A matte finish complements the ring and emphasizes the strength and durability of tungsten carbide. This style is becoming more popular everyday. This ring ships within 1 business day. Free Lifetime Warranty and Lifetime Sizing; pay no restocking fees or deductibles! This ring is simply gorgeous and all of the learning materials that Tungston Rings & Co gives you help you learn everything you need to know about tungston. I asked other tungston stores about hardness and MOHs scale and I got nothing. I saved so much money and not to mention, my fiancé loves this ring. The free shipping is great also to help ease your mind about costs. He and I agree this is simply the best.